The famed and customer approved professional services of Guardian Cargo Logistics are now available for your move to Canada. International moves can be tough, but with Guardian your relocation will be smooth and hassle free. Our outstanding relocation services have been praised by many for our highly skilled and professional team and services. There is no better way to move to Canada than with Guardian Cargo Logistics. 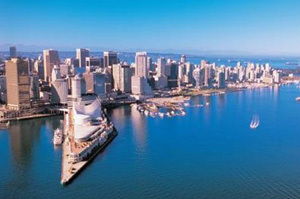 We can move you from anywhere in the US to almost anywhere in Canada with our no stress relocation services. From A to Z, Guardian has got your Canada move covered. Speak with one of our relocation experts today for your free Canada quote. We will provide you with final binding prices for your move and will assist you with the necessary paperwork. At Guardian Cargo Logistics we have the knowledge, the technical means and the connections that are necessary in order to move you from nearly anywhere in the US to nearly anywhere in Canada. Whether your move to Canada is a large scale, full service, full packing move or whether you have a partial shipment, we will be able to provide you with some of the most attractive rates in the industry combined with the famous customer service our reputation is based on. At Guardian Cargo Logistics we make sure that all of our customers are well taken care of; no matter if you are moving across town or to another country, you will always receive the best of care from our Guardian team. Customer satisfaction is high on our list to ensure a successful and stress free move. 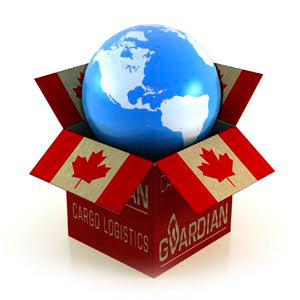 Your Canada move is in good hands when you relocate with Guardian Cargo Logistics.